Another DK Publication but aimed at the younger market. 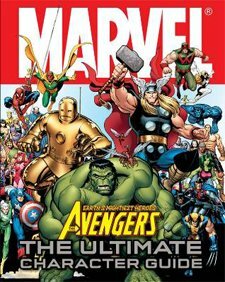 There have been a lot of Avengers over the years and we managed to cram most of them into one volume. The Marvel Universe was going through tremendous changes at the time courtesy of the Siege storyline with more characters than usual dying and coming back from the dead – so a few characters popped their clogs while it was at the printers (and a few more came back from the dead).